The bridge to the history of Rimske Terme, perfect for creative work and the creation of new ideas. The began constructing the Russian path in 1917. It was named after the Russian prisoners that helped building it. Next to them, there were only some Czechs, Slovaks and Poles. They were living in tents on the tennis grounds in the forest above the Villa Sanhof. The kitchen was set on today’s Male igle. 47 prisoners started to construct the path. The winter of 1917-18 was very cold and many among them didn’t live to see the spring. In October 1918 the walking path, measuring 1224 m, was finished and in this shape it is preserved until today. There are 24 stops – energy points on the path; they are decorated in the ancient Roman style. 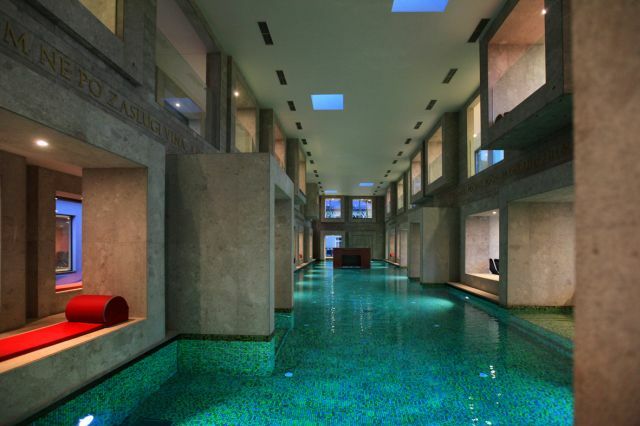 They offer the possibility of relaxation and re-energizing. Next to the main walking path they also made several sideways in that times, but they were not preserved. Rimske Terme offer a lot of well marked cycling routes, where you can indulge in cycling pleasures. Colorful valley of Gračnica invites you on a cycling journey that leads to Juklošter, but you can also cycle into the valley Lahomnica and to the peak Vrh above Laško. Those are only just few of the many opportunities for cycling lovers. You can get all information about cycling trips on the front desk of the Hotel Rimski dvor****. Tourist farm Kozmus is connected with Laško (16 km) and Celje (30 km) with asphalt road. In Rimske Toplice you cross the bridge across the river Savinja, continue over the valley of stream Gračnica to the place called Polana. Horse riding school for beginners and advanced classes, horse riding for tourists in heated area, field horse riding, training hurdles etc. Pony riding, horse riding in ringside, field horse riding. 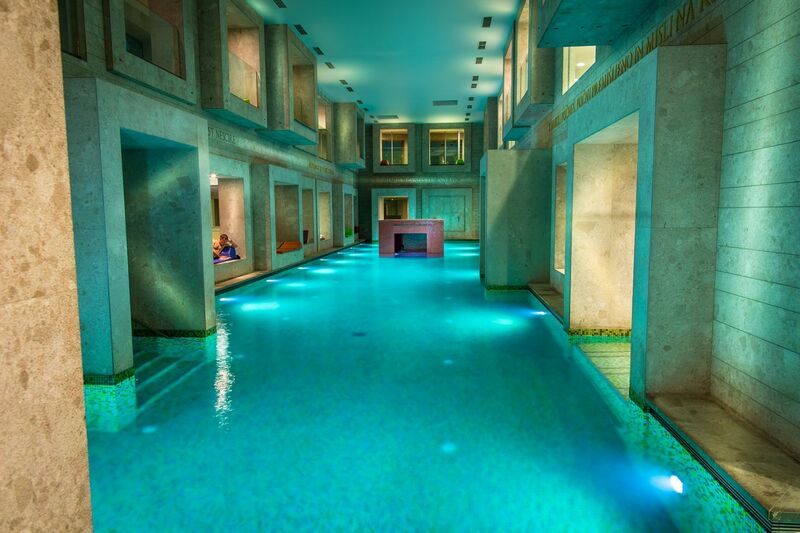 A superior architectural design of the pool is offering you a 450 m2 water surface and the experience of the original Roman baths. Thermal water has healing effects. It is one of the richest in Slovenia and contains a number of chemical elements that are beneficial to the human body. 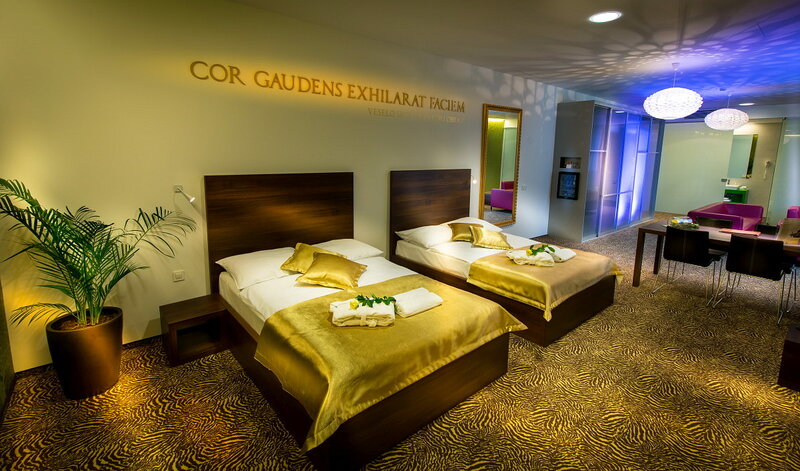 In the modern-designed center, that will fascinate you with its rich tradition you will connect with the nature, feel the wisdom of our ancestors and refill yourself with the energy of life. 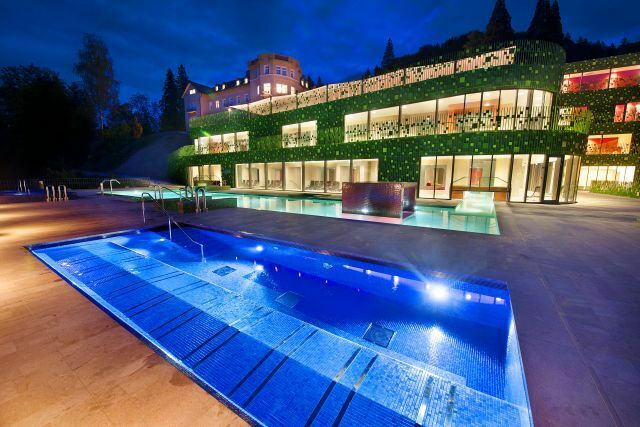 The natural conditions are rounded up with a wide variety of water nymphs’ baths, rich bathing offer, superb saunas, a hairdresser and a rich offer of massages, body and facial treatments in the Wellness center Amalija. Our friendly and professional staff will listen closely and advise in the creation of how to pamper you to the fullest. Herbal bath of the Valetuda goddess: A combination of numerous home-grown herbs will soothe your breathing problems, strengthen your immune system and strengthen your health. The bath consists of four to five herbs depending on the season and the harvest on the home herbal garden. You can finish your bath with a cup of tea and home-made honey. Lotus bath of the Evridika nymph: The bath of the water fairy Evridika will pamper you in the scent and touch of lotus flowers. The bath is rich in numerous soothing effects for your skin and protection of your skin against external influences. The bath of Najade nymph: The water nymph Najade will take you on a luxurious experience Romeo and Juliette where you will be spoiled by a relaxed pampering for two. Let the magical experience carry you into a world of love and soft touches. A perfect day for two: We have prepared a truly special offer of soothing relaxation with a relaxing massage, bath for two in candle light and fruit plate. The evening ends with a romantic dinner for two. Romeo and Juliette bath: The Romeo and Juliette bath is a perfect experience of sweet pleasures. For a truly unforgettable experience we added a chocolate fondue which will awaken your romantic soul. Roman Spa is situated beside a famous Earth fault that is approximately 1000m under the Earth surface. From the depth comes thermal water with the temperature of 39 degree Celsius, it boils on the surface 22.3 liters per second. Roman Spa with its special position in the valley of river Savinja and with its intact natural outskirts of forests is also a climate spa that affects beneficially on chronical illnesses of respiratory organs. 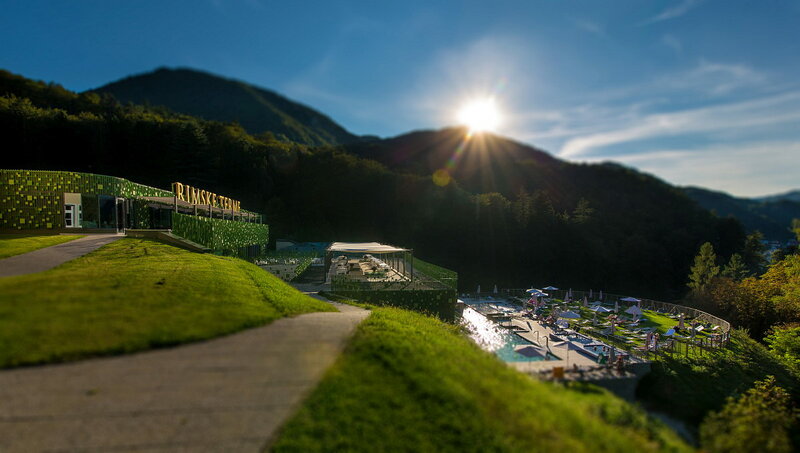 Thermal water is one of the richest in Slovenia, and it contains many chemical elements that affect healingly on the human body. The shortest time that it is still effective, when healing the above mentioned diseases, is 14 days, but balneologists recommend at least 3 weeks of healing in spa with obligatory rest every six days. Lung diseases (mainly chronic diseases of the upper respiratory tract) Our specialty to each guest, patient, is based mostly on individuals health condition. At prescribing the therapies we are looking to reduce pain, increase the strength and improve general being. We teach them the correct approaches to facilitate everyday life and we restore smiles on their faces. So we are devoted to each guest maximally, professionally we follow a single doctrine which is valid in the Slovenian area. 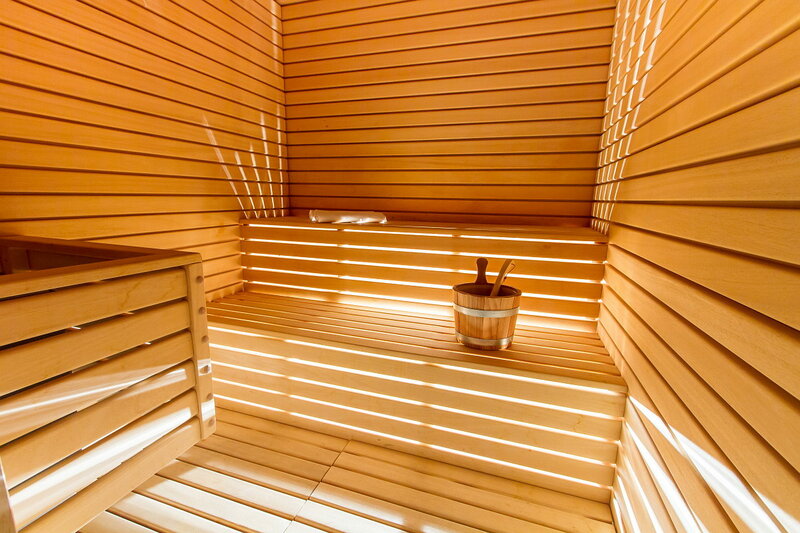 In the Sauna Land Varinia we offer our visitors a relaxing oasis of tranquility and rest with rich thematic programs with wraps, scrubs, Kneipping and swirling air. A selection of air circulation programs and programs for body care are being carried out daily. Rooms: Let yourself enjoy the comfort of the 68 top-class double rooms and suits. All the rooms have a bathroom (shower or bath), toilet, LCD television, telephone, mini bar, safe, air conditioning and internet extension. 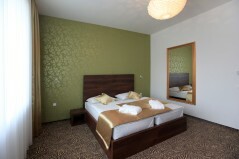 Suites: Hotel Rimski dvor**** has 8 deluxe suites. 2 suites have a sauna and a whirlpool, 4 have a round bed and a whirlpool and 2 have a whirlpool. Each suite hides a special story, because they are named with Latin names of healing plants and fruits that grow in the surrounding area of Roman Spa. Equipment of Suite Rosa is inspired by red roses – flowers of passion and love. Luxuriously rich flowers and sophisticated aroma will create a romantic atmosphere. Decoration of the room will guide your imagination into the symbol of wealth and luxury. It is furnished with a sauna and a whirlpool. Equipment of Suite Inter is inspired by honeyed experiences. It paints a sweet atmosphere for her and him. Decoration of the room will calm you down, enable you relaxation and guide you to a better sleep. It is furnished with a round bed and a whirlpool. Equipment of Suite Malus is inspired by mighty green apple tree and its fruits, which are know as a fruit that preserves youth and eternal freshness. Decoration of the room will calm you down, fill you with new strength and guide you in a harmony of peace. It is furnished with a whirlpool. 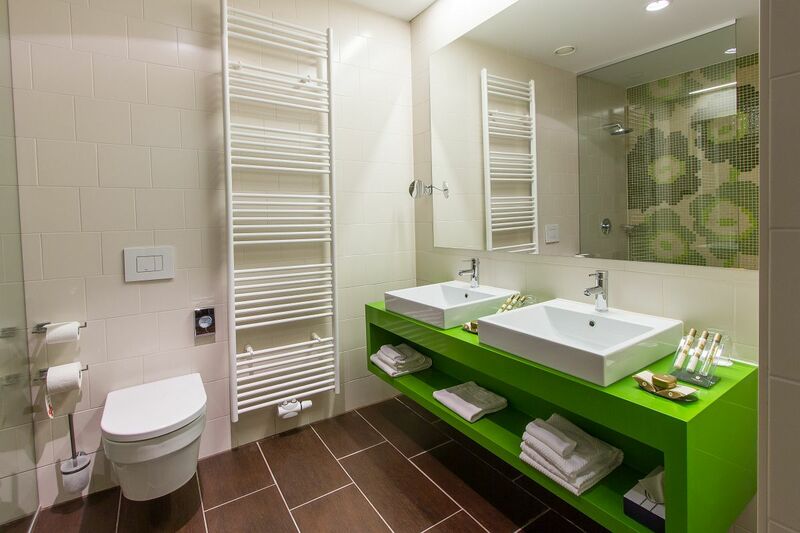 Equipment of Suite Citrus is inspired by fresh citrus. It paints a positive atmosphere for her and him. Decoration of the room will affect positively on your health and will help you start your day better. It is furnished with a round bed and a whirlpool. Equipment of Suite Cammomilae is inspired by gentle and sophisticated flowers of healing Chamomile. 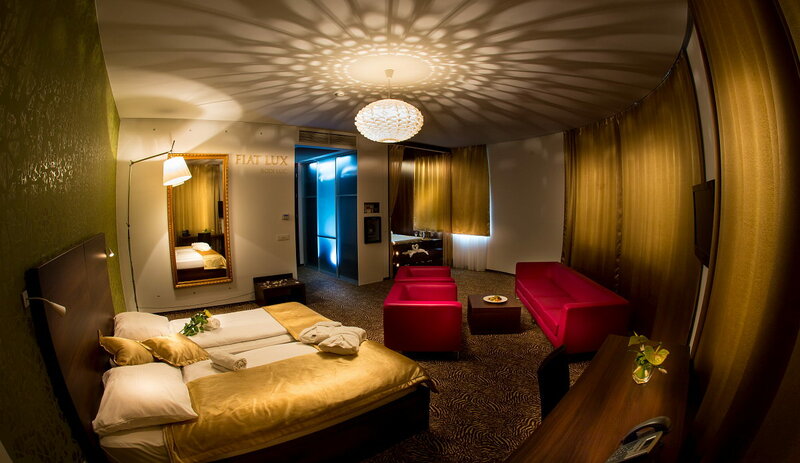 Decoration of the room will stimulate your spirit, relax you and guide you into a carefree sleep. It is furnished with a sauna and a whirlpool. Equipment of Suite Lavandula is inspired by small mysterious flowers of Lavender. Decoration of the room will stimulate you to friendship and will open your heart. You will feel relaxed and beneficial. It is furnished with a round bed and a whirlpool. Equipment of Suite Melissa is inspired by the most cherished herb, which is known by its magical features. Decoration of the room will give you back your happiness, bad and negative thoughts will abandon you. It is furnished with a whirlpool. Equipment of Suite Calendula is inspired by a beautiful and warm flower of pot merigold that shines the first day in the month and can predict the weather. Decoration of the room will start a fire in you for a better life and guide you to the warmth of your home. It is furnished with a round bed and a whirlpool. No extra beds in room. Get to know the tradition of beer brewing in Laško, which started in early 1825, and watch the most modern procedure of beer manufacturing. For conclusion, we will invite you to taste the excellent beer of Laško. In the lonely valley of Gračnica, invites you a Chartusian monastery Jurklošter, where you can get to know about the mystic life of Chartusian people and hear many stories that lived for a long time behind the walls of monastery. Museum always served its basic activities, those are saving historic documents that are important for the city and its surroundings, expend the collection of photographic testimonies, collect different object of cultural and historic importance and exhibition of museum pieces. Laško is a small city that was first mentioned in 1227. Walk trough and get to know the rich cultural and historical heritage. Rafting on river Sava has more than five hundred years tradition. You will meat customs and habits of rafters, taste rafter’s goulash and experience rafter’s christening. City, known by its paper industry, has its modern foundations for development, because of its rich cultural heritage and intact nature. The development is closely connected with the river Sava, once very important traffic route, where there was a big rafting traffic. Tradition of paper industry in Radeče goes back to the year 1736. Paper mill Radeče is from the history known by printing special types of paper for bank notes. On the see level of 520m, by Gašper Kiršek homestead, grows the thickest home chestnut tree in Slovenia. Mighty one prides on exceptional dimensions: 18m high, with trunk circumference of 10.71m at chest height. Treetop consists of four tops. 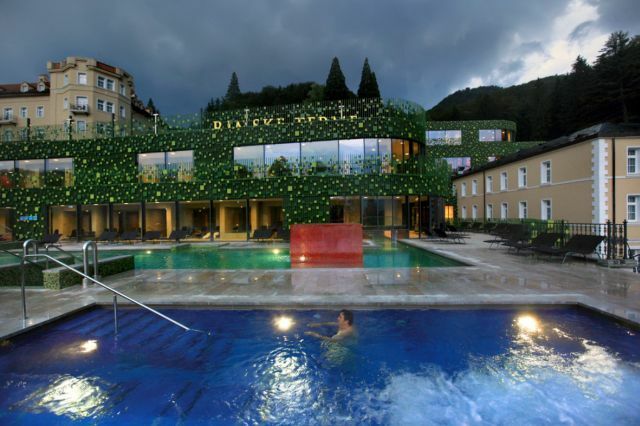 Convention centre Business Wellness Spa Resort Rimske Terme is located in Hotel Rimski dvor**** and Hotel Sofijin dvor****. Conference banquet rooms with modern audio - visual equipment are suitable for conferences, consultations, seminars, courses, meetings, receptions and social events, exhibitions, fashion shows and gala receptions. Seminar facilities were named, based on events and personalities in the city, as the history has written them. 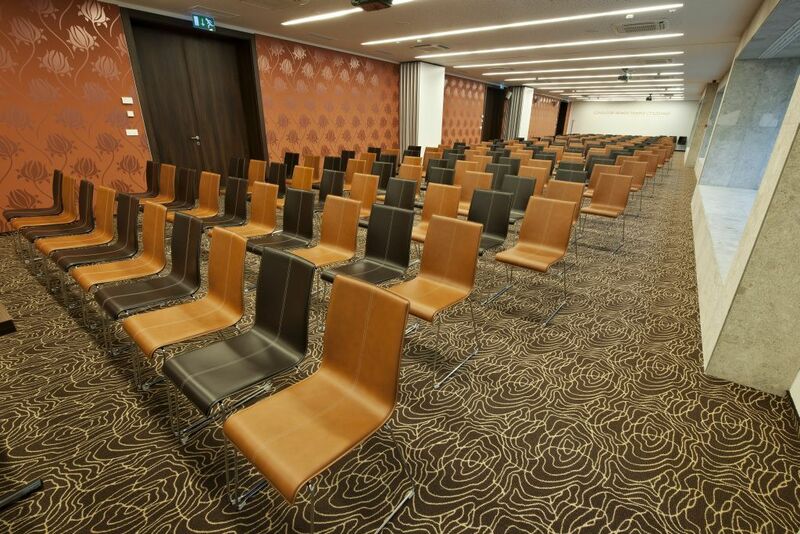 You can choose from six contemporary-designed conference halls, suitable for one day or more days of the meeting. Convention centre is located in the heart of the complex and is associated with well-equipped accommodation part in Hotel Rimski dvor ****, Hotel Sofijin dvor **** and Hotel Zdraviliški dvor ****, where are available 187 modern rooms, which satisfy even the most demanding guests. The Convention centre features flexible halls, in it are modern decorated common areas designed for socializing, entertainment or receptions. There is an opportunity to organize a coffee break, or Fit brake. Your business meeting can be completed with the team building, tours of natural and cultural heritage, superb cuisine in a la carte restaurant Sofija or restaurant cesarja Ferdinanda and pampering at the Wellness Center Amalia. The restaurants in Rimske Terme offer modern dishes enriched with a rich culinary tradition. The Sofia a-la-carte restaurant combines the best home- made dishes with the exquisite taste of international cuisine. Dishes are prepared in a modern way according to the philos- ophy of Vienna and Mediterranean cuisine. Menu composition is adapted to the seasons and fresh seasonal ingredients from the surrounding area of Rimske Terme. Gourmet delights are completed by top-quality wines from all the Slovenian wine regions. In the Caesar Ferdinand Restaurant hot meals are pre- pared in front of the guests. Start your day with a select buffet breakfast and finish it with dinner, where in addition to the hot and cold buffet you can choose from a wide selection of appe- tizers, salads, desserts and fruit. In the café of Princess Victoria you can lose track of the time, try teas prepared according to original Roman recipes from herbs that grow in the surrounding area and enjoy the Roman Malzum wine. Besides excellent coee, hot and cold drinks and delicious desserts, the café of Princess Victoria also oers a variety of drinks, cognac, whiskey and selected cigars. You can also enjoy piano music in the café of Princess Victoria every Friday and Saturday. Our culinary masters will make you a wedding cake according to your taste and wishes, and they will also bake diverse home-made pastry. We also prepare menus and formal invitations; help with organizing a wedding and with music and sound selection. The lounge bar is open from the evening until late at night. Freshly prepared cocktails of your choice will be served to you with the rhythms of Chillout music. In the bar you can oen listen to live ambient music. The bar located by the pool oers a wide selection of hot and cold drinks and ice cream. A place embedded in millennial history is perfect to start a common future. On your wedding day, we oer a unique civil ceremony, a culinary experience and the best feast for up to 200 persons. We provide a wedding ceremony with owers and selected decoration, music and other important details. Our culinary chefs will make you an original wedding cake and they will also prepare other culinary delights. We also oer accommodation for your guests in 187 modern furnished rooms. If you enjoy choice and the taste of various dishes we offer the rich self-service buffet in the Restaurant of Emperor Ferdinand in the Rimski Dvor **** Hotel. The restaurant can be used for bigger companies and the organisation of various events. The guests can beggin their day with a selection from the breakfast buffet and end it with a tasty dinner, with a large selection of starters, salads, desserts and frut. New Year’s party for your business partners or employees. Besides the original water nymphs tea, Malzum Roman wine, excellent coffee, other warm and cold drinks the Princess Victoria coffee shop also offers top-level deserts. Besides the variety of drinks, cognacs, whiskies and cocktails and the selected cigars you can also enjoy piano music in the Princess Victoria coffee shop every Friday and Saturday. Every Friday and Saturday party with live music. From May until September you will be pampered with house specialties and live music on the terrace of the cafe (in case of good weather). If you order pre-hand the Sofijin Dvor **** Hotel offers the use of the A la carte Sofija restaurant for the company of up to 60 people. The restaurant spoils its guests with culinary goods and house specialities. 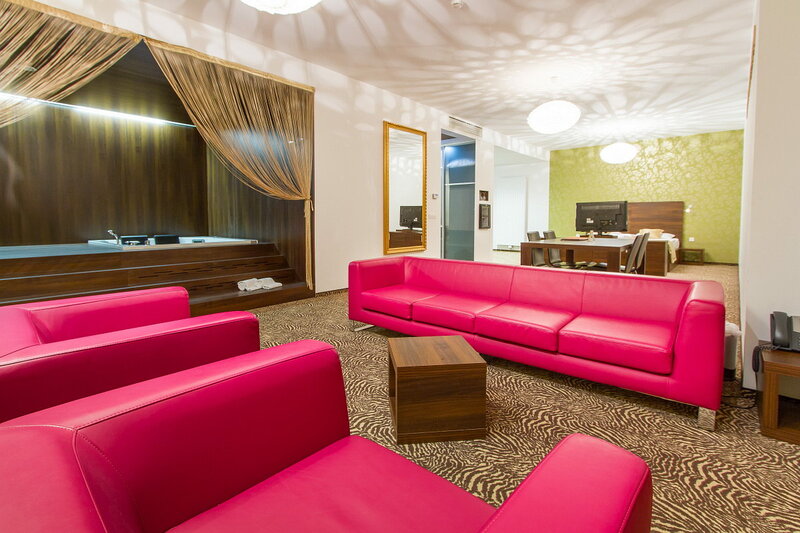 Lounge bar is located in the hotel Sofijin dvor. You will be served freshly made cocktails of your choice accompanied by chill out rhythms. In the bar you can often listen of live ambient music. 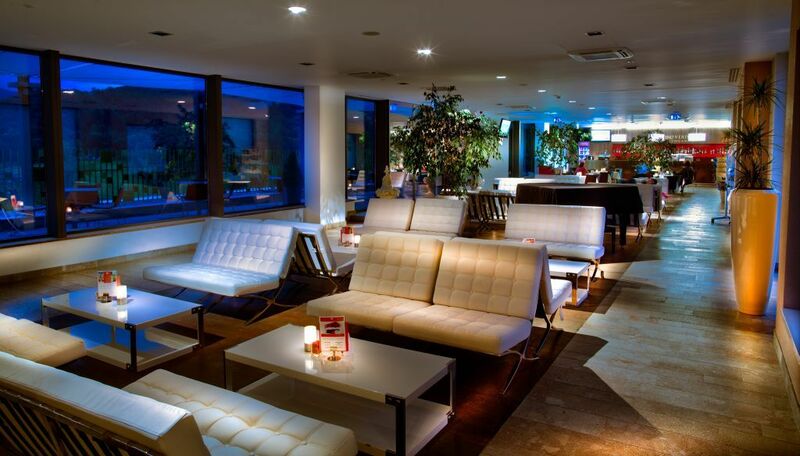 The Lounge bar can be rented for exclusive events. Selected tastes which pamper your taste buds and bring the feelings of happiness are an important part of relaxation. In the restaurants of Rimske terme you can enjoy modern dishes, enriched with rich culinary tradition. Start the day with a healthy breakfast, refresh yourself with a coffee, spice up your afternoon with a cocktail and enjoy a gala dinner with several courses. Seize the day. 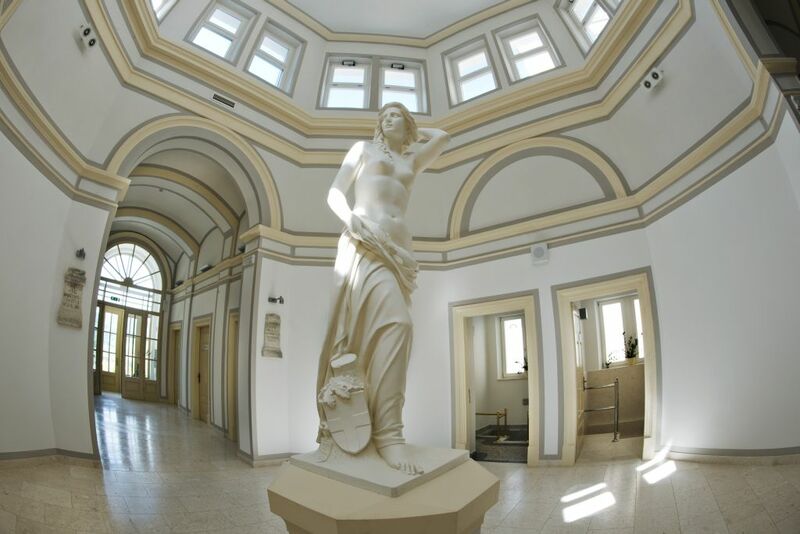 The Hotel Rimski dvor is a bridge to the history of Rimske terme. 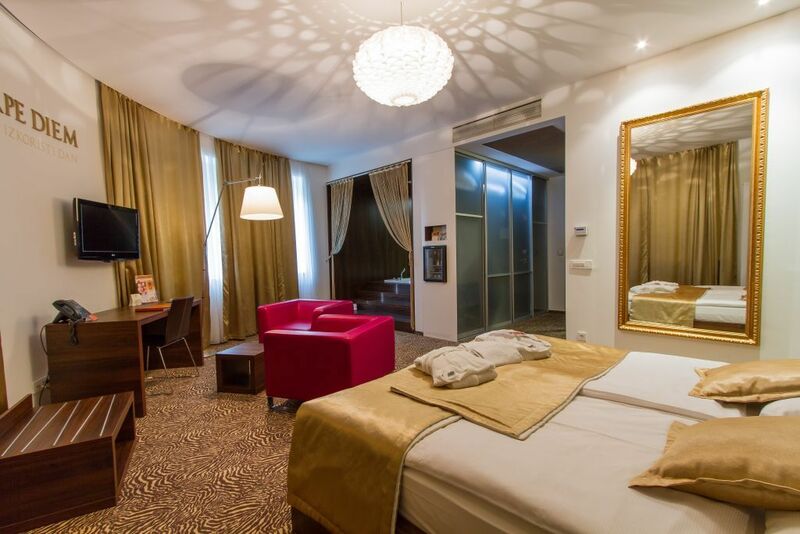 It is situated between the Hotel Sofijin Dvor**** and Hotel Zdraviliški Dvor**** . The hotel is made of terraces and is perfect for creative work and the creation of new ideas. Let yourself enjoy the comfort of the 68 top-class double rooms and suits. All the rooms have a bathroom (shower or bath), toilet, LCD television, telephone, mini bar, safe, air conditioning and internet extension. There are 8 special suits which have a sauna, whirlpool and a round bed. These suits hold a special story and their names derive from the Latin names of healing herbs and fruit from Rimske Toplice. 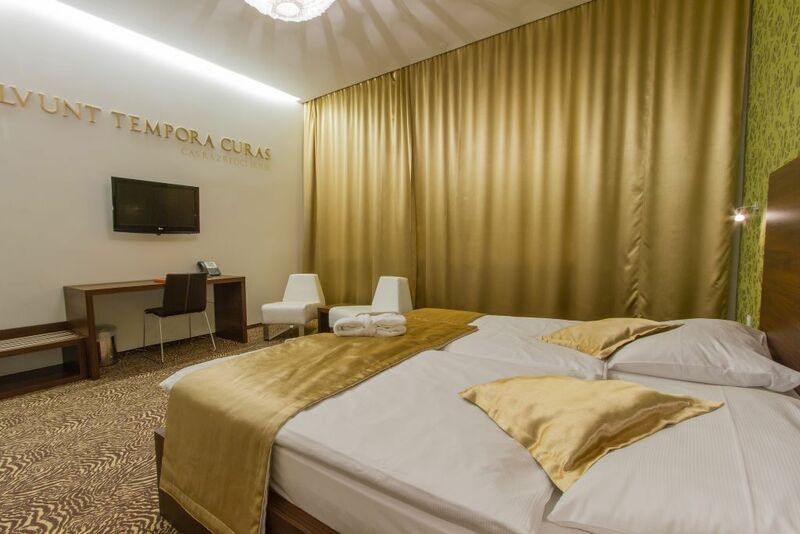 There is also the Amalija Wellness Centre in the hotel where you can experience all kinds and techniques of massages, there is also the Varinia Land of Sauna, the pools of the Rimski dvor Hotel.